Dr. Megan Matthews Buning pitches for the University of South Carolina Gamecocks softball team. AUGUSTA, GA. – Dr. Megan Matthews Buning, professor of research in the Augusta University College of Education, has been named to the Southeastern Conference 2017 Class of Women’s Legends, which showcases former student-athletes, coaches and administrators from 14 SEC member institutions. “I do not have the words to express how honored I am that my undergraduate institution thought this much of me to select me for this honor. It’s incredible to be able to represent USC in this way. This reminds me of the skills I have gleaned through athletics and how powerful participation in sport can be,” Buning said. Buning will be honored with the 2017 legends class March 1-5 in her hometown of Greenville, S.C., at the 2017 SEC Women’s Basketball Tournament. Each legend will be honored during halftime of their teams’ first game of the tournament. And all 14 members will be honored as a group, participate in an autograph session, and be included in complimentary posters of the legends distributed at the autograph session. “A legend is someone who is an exemplary model of the core values of the institution. A sports legend is someone who worked harder than anyone else, who was a leader on the field and in the classroom to achieve success,” Buning said. For her, no one exemplifies the title more than her late grandfather, Bobby Smith. Among the names she listed were her former coach, Hall of Famer Joyce Compton, former head softball coach at South Carolina; Joan Joyce, head softball coach at Florida Atlantic University and multi-sport athlete, including LPGA golfer and women’s national basketball team player; three-time Olympic gold medalist and strikeout record holder Lisa Fernandez; and two-time Olympian and winner of the Women’s College World Series Jennie Finch, now a color analyst for ESPN. Buning said she was frequently discouraged from following her passion and succeeding in sports, and struggled against quitting. “I sometimes let doubt fuel me. But it’s important for us ladies to remember that hard work, persistence and passion pay off in sports and in life. Always keep trying to better yourself,” she said. 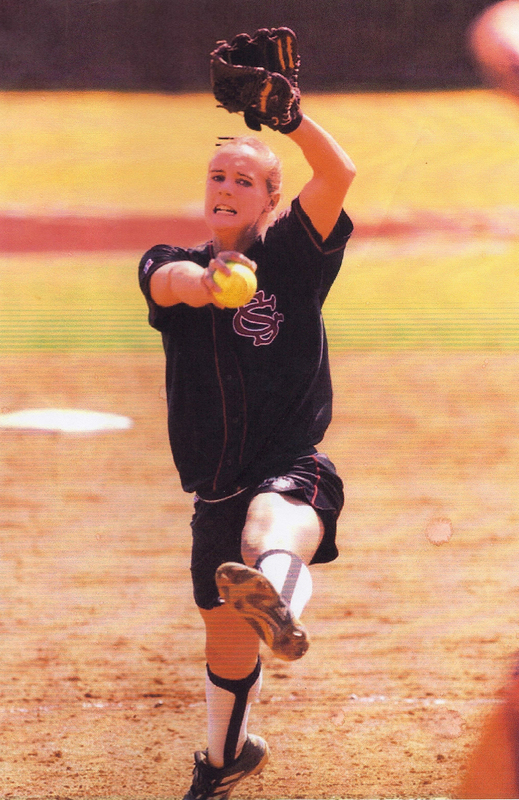 Buning played softball for the University of South Carolina as a pitcher, and is one of the greatest softball players in South Carolina history. 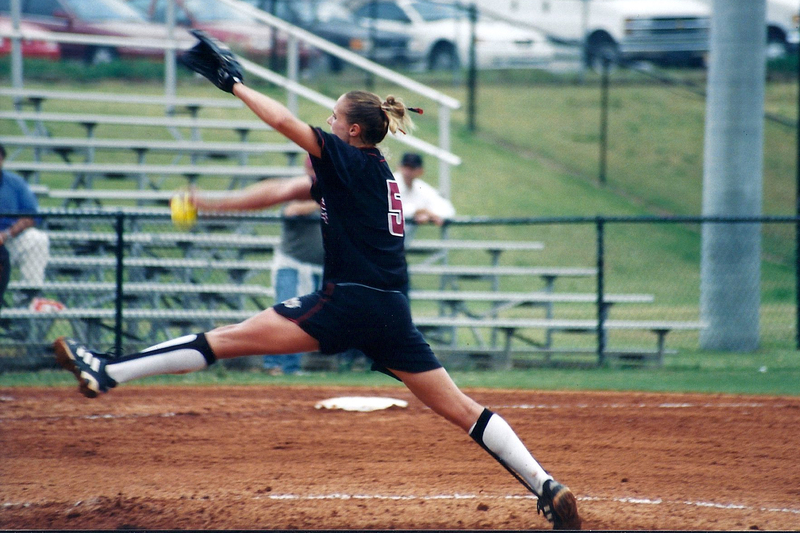 She won 101 games for the Gamecocks – just one game shy of the all-time record – and when she ended her career in 2002, she was the university’s all-time leader in strikeouts, complete games, and innings pitched. She was an All-American pitcher, a three-time All-Southeast Region honoree, a two-time All-SEC pick and 2013 inductee in the USC Athletic Hall of Fame during her career. Buning received her Bachelor of Science degree in exercise physiology with a concentration in motor development and a cognate in athletic training from South Carolina in 2003. “Playing sports in college, especially in the SEC, can seem brutal at times, but it was all worth it. Every time I see Williams-Brice Stadium, I tell anyone near me that I’ve literally run every step and ramp in that stadium,” she said. Still, she stresses that none of her successes came without other support from parents, coaches, friends, family and faith. But her experiences also launched her career and introduced her to her husband of 13 years, who was an athletic trainer for the men’s basketball team. 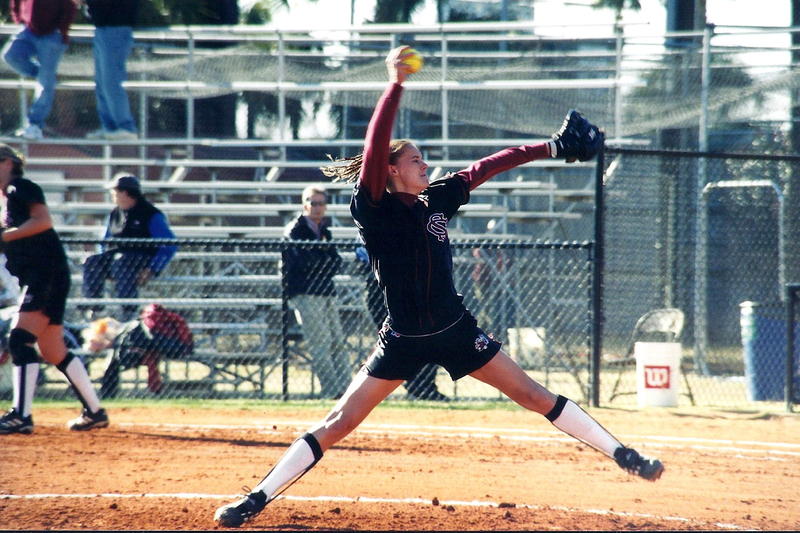 In addition to her playing experience at South Carolina, Matthews Buning pitched for the New England Riptides, of the National Pro Fastpitch league, who finished runner-up in the NPF Championship Series in 2004. After that, she worked as assistant softball coach for Florida State University in Tallahassee, Fla., from 2004-2007; served as associate head softball coach for Coastal Carolina University in Conway, S.C., from 2007-2009; and coached the Ole Miss softball team from 2009-2011. She received her master’s in sports psychology from Florida State University in 2008 and her Ph.D. in Higher Education Administration at Ole Miss. Buning joined Augusta University in 2014, and works in the Department of Advanced Studies and Innovation. Her research centers on female athletes, motivation and coaching behaviors – specifically coach communication style. She teaches research methods, quantitative methods and tests and measurements. 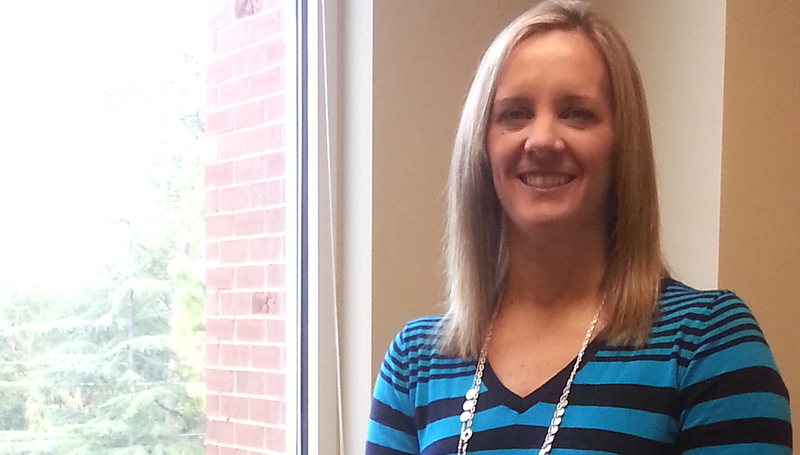 Dr. Megan Matthews Buning when she began at Augusta University in 2014. 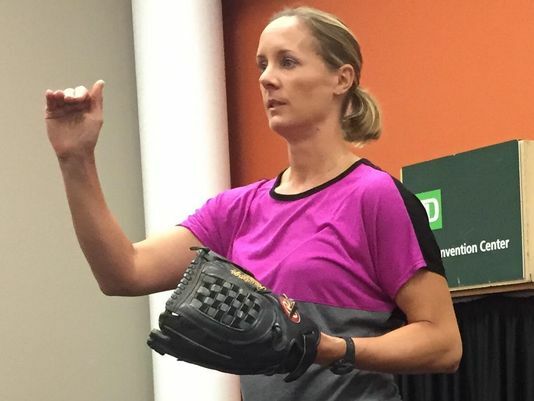 Dr. Megan Matthews Buning in 2015 while giving a presentation at the South Carolina Athletic Coaches Association All-Sports Clinic at the TD Convention Center in Greenville, S.C.